There are books meant to be beautiful, there are books meant to make you think, there are books meant to make you feel. Americanah combines it all in its fight against the denial of racism. Racism is real, even in this modern day and age it’s a subject that (with a little help from social media, where you can hide behind a mask quite easily) is shown across the globe. However, it is a complex matter, different to almost all recipients. Different countries and cultures have different opinions on what is racist and what is not, and it can be quite confusing to some. Americanah touches upon the complexities of race, class, gender, and mankind in general, and how those can differ in Africa and in America. While many countries in this world have English as either the first, or the second official language, does not mean that all English is the same. In Americanah, the concept of Nigerian English is used to discuss the differences between the United States and Nigeria. The language differs, and therefore the meaning of things. And when meanings change, concepts change, and people change. Therefore, people are different, nurtured by their background and upbringings. This difference is one of the most important aspects of Americanah, as it shows the complexity of daily aspects of life that are sometimes taken for universal truths. This concept of difference, through either ideas, language, or other cultural aspects, is the focus of Adichie’s book. It shows that not everything is as simple as it seems, through the eyes of the outsider. Even if that outsider is connected to the subject through other ways. 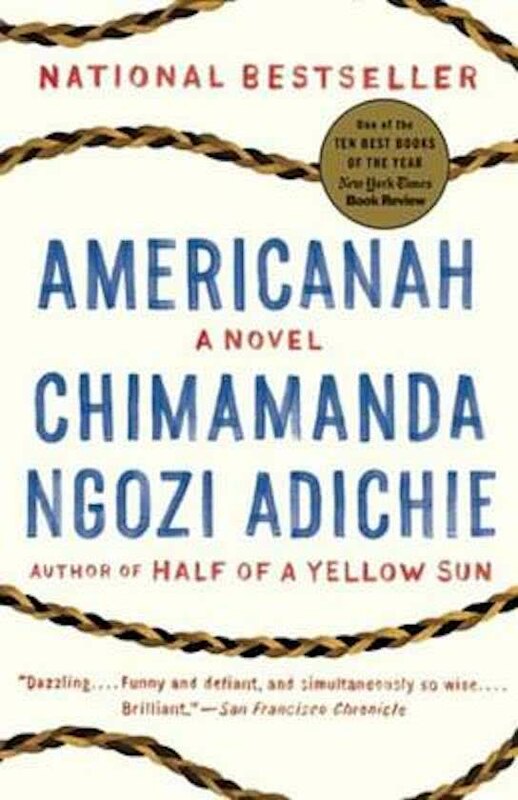 While Americanah could be described as a bit ‘slow’, it is never boring. Even so, the word slow is almost a compliment. This is not an action-packed-book, that drags you from one drama to another to get its message across. This books represents daily life, in all its easiness as well as its emotions. Things take time in normal life, rarely anything happens quickly, and Americanah shows that in a beautifully written way. It forms, shapes, takes its time to transform. Almost like a cake in the oven. And the result, already tempting while creating, is delicious. And when taking a bite, you realize all the meanings and ideas put into that cake while mixing the batter and putting it into the tin. 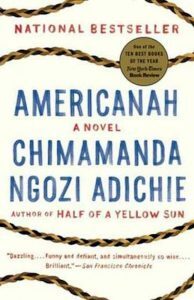 Americanah uses the connection to language and the pace of normal life to get it’s message about race and diversity, about the connection between different continents, about the importance of culture across to the reader in a way that will absolutely stay with you.